Saddleback Church Newport Mesa is excited to partner with Dr. Daniel Amen and his wife Tana as we look to improve our lives and minds. 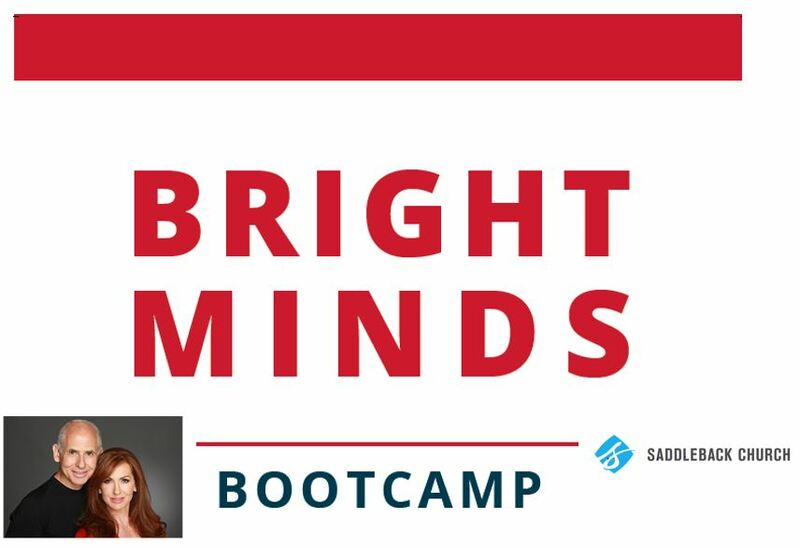 Dr. Amen and Tana will be presenting BRIGHT MINDS BOOTCAMP over five weeks and teach us how to improve our brain, our relationships, our nutrition, how to be inspired. Join us starting Wednesday, January 30th, 7:00pm to 9:00pm in the Saddleback Church Newport Mesa Worship Center, and for the following 4 consecutive Wednesday nights. Make sure to bring a pen and paper! These are free workshops with the intention of a healthier, happier you!